Isopropylphenyl Phosphate|Flame Retardant IPPP95|Cas Number: 68937-41-7|Isopropyl phosphate - ZhangJia Gang YaRui Chemical Co., Ltd.
Isopropylphenyl Phosphate, Flame Retardant IPPP95 Is Used For Rubber Products And PVC Plastic Flame Retardant Conveyor Belt, Cable, Chloroprene Rubber, Nitrile Rubber And Other Synthetic Rubber Flame Retardant Plasticizer, Triisopropyl Phenyl Phosphate Applicable To Fabric Coating, Circuit Boards, Flooring, Textiles, PVC, Phenolic Resin And Other Fields. Isopropylphenyl Phosphate, Flame Retardant IPPP95 Halogen-Free Phosphate Flame Retardant Plasticizer, Will Not Twice Pollute The Environment; In The Phosphate Ester Species Is A Viscosity, Phosphorus Content Is More Moderate A Model. This Product Is Colorless And Transparent, Good Compatibility, The Use Of Both Flame Retardant And Plasticizer, In The Flame Retardant And Plasticizer To Play A Balance Between The Role, But Also To Make The Processing Of The Same Material And Its Physical Properties. 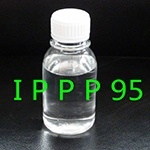 Refund: Isopropylphenyl Phosphate, Flame Retardant IPPP95 Tax Rebate Of 9%.